You know that saying about too many cooks spoiling the soup? The same thing can happen with content planning if people are chopping, dicing and mixing in ideas with no real organization in place. Opal gives you that organization in the form of a collaborative content planning app that lets you plan all of your content, promotions and campaigns in a single location. Multiple users can work on content planning using Opal, whether they are in the same office or halfway around the world. The main aims of this subscription-based app are to increase efficiency, boost productivity, support collaboration and promote consistent brand messaging across all channels. It would be tough to find any chef who didn’t appreciate that. Real-time discussions help all the cooks stay in line, with on-the-spot content change-tracking, feedback and discussion. You no longer have to play email ping-pong but can instead converse with team members using a chat interface within the document itself. This saves time, reduces misunderstandings and encourages collaboration. The ability to see all your in-progress content in a single place is another plus, as is the calendar feature, which you can use as a visual planning tool. A top chef still gets the final say-so, with an approval option that won’t release content until the assigned approvers give the OK. Nestle, NASA, Levi’s and Target are just a few of the well-known brands that swear by Opal. Opal doesn’t publish a pricing structure on its website, typically a sign that the service is going to be costly. Anyone interested must request a quote or a demo, which potentially sets the stage for a flurry of sales pitches. 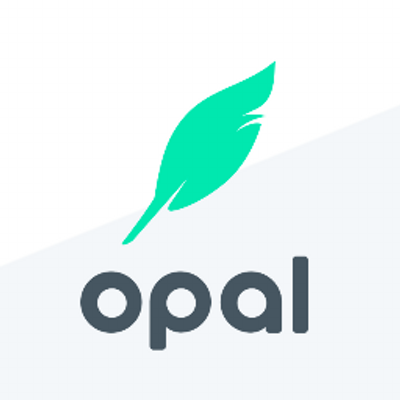 Smaller brands and startups may not want to even bother requesting a quote, not only because of the significant investment but also because many of Opal’s distinguishing features, such as cloud-based collaboration, are geared toward larger brands with users in multiple locations.